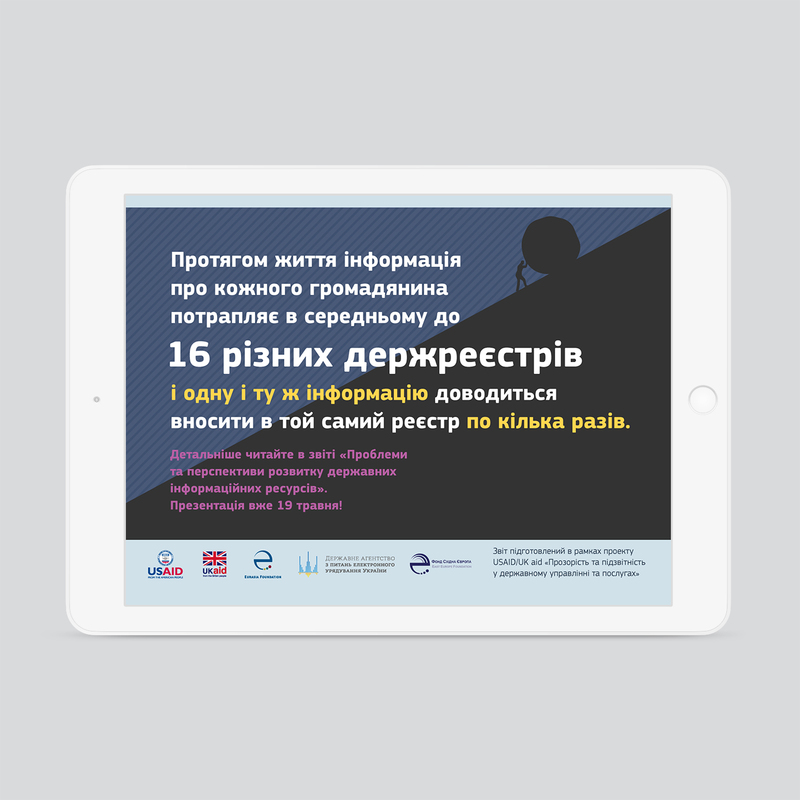 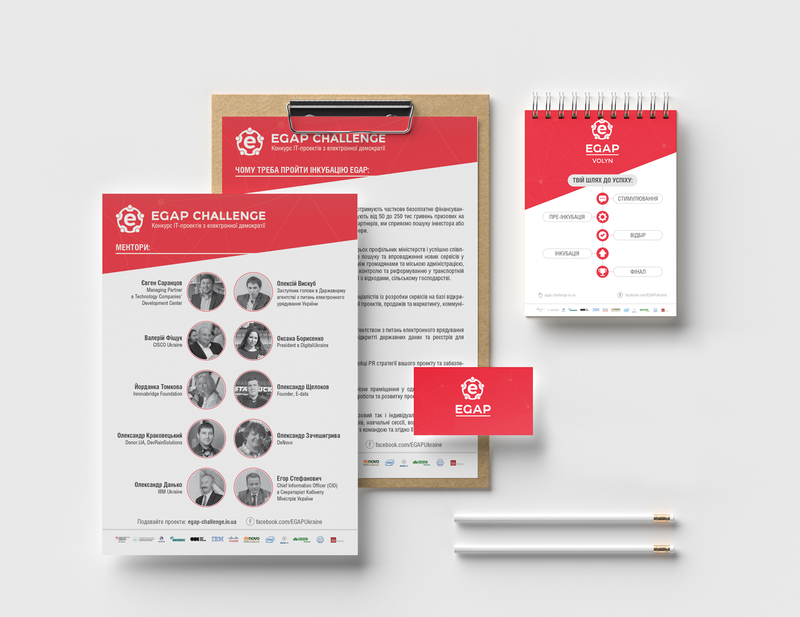 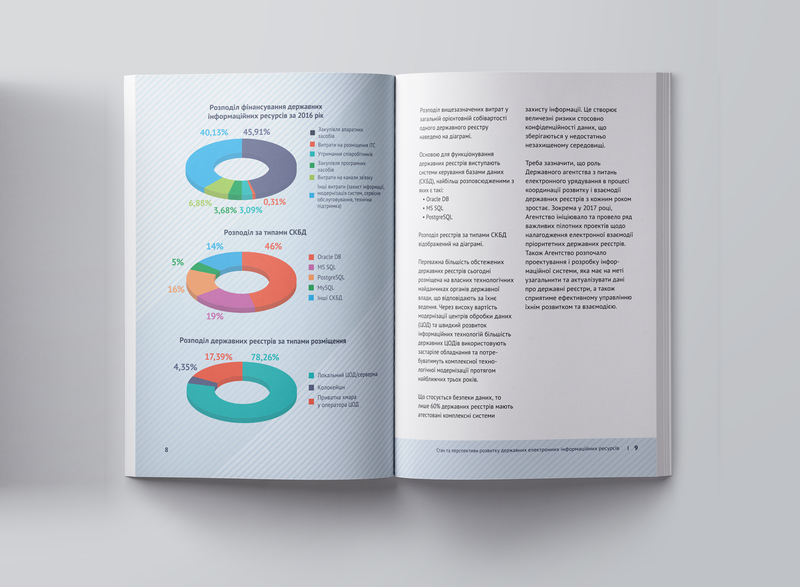 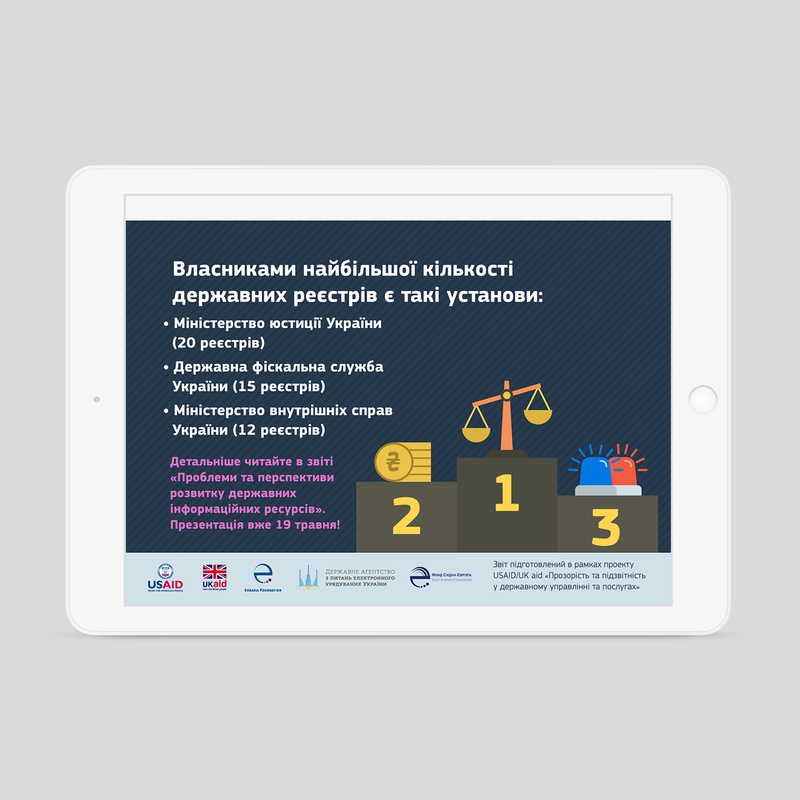 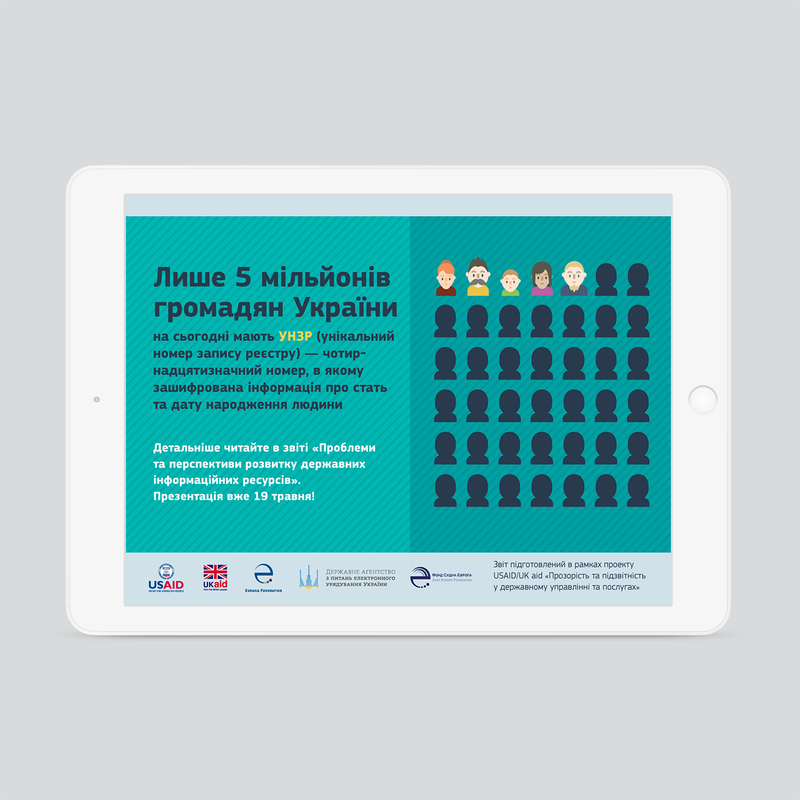 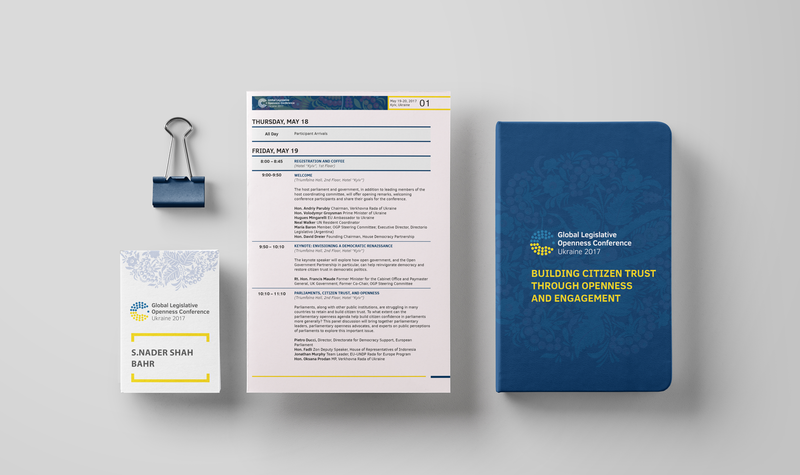 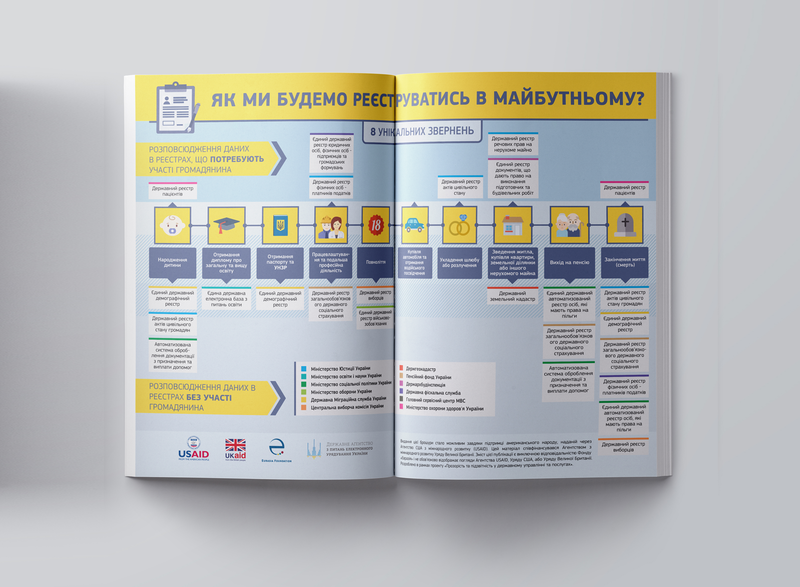 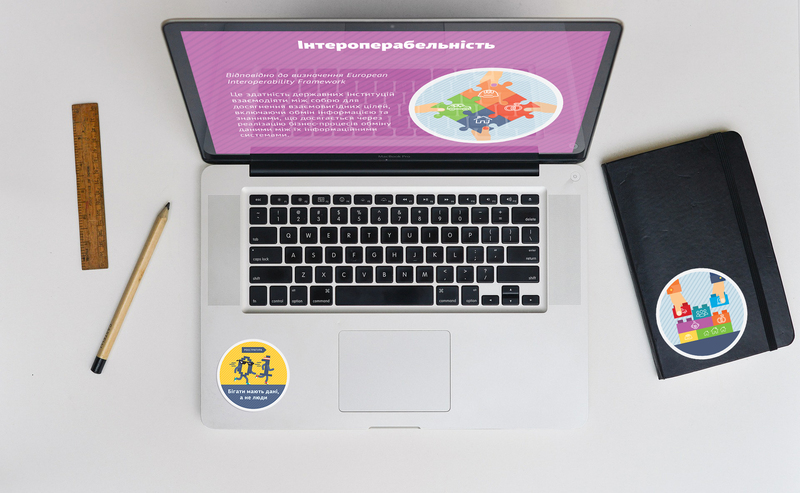 Assignment: Design the necessary materials for launching the component of electronic services within the program – infographics, report, presentation, promo materials for publication on web, printed materials for the participants of the event (stickers). 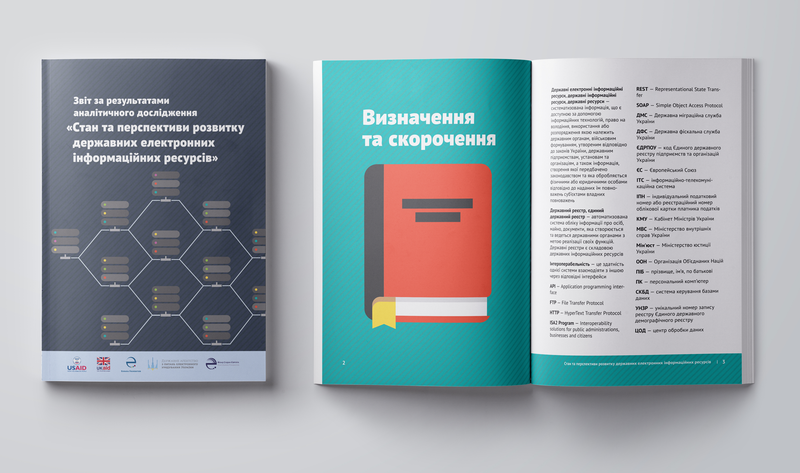 Primary intention of the project was to draw attention of the state authorities and the experts’ environment to situation with the access to information, stored in electronic state registers. 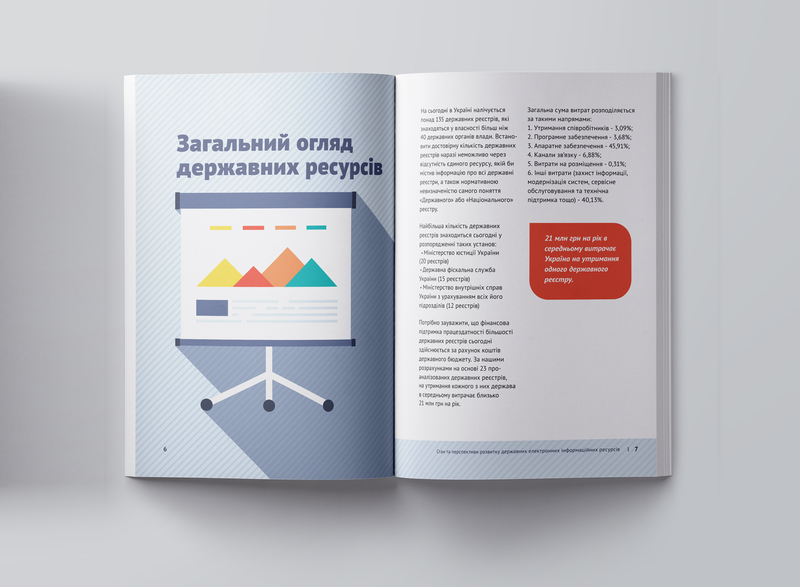 The issue is really contemporary, which is why we selected hatching progressive, “modern” graphics which not only enhances information and creates relevant associations, but also humorously shows the described phenomena or processes. 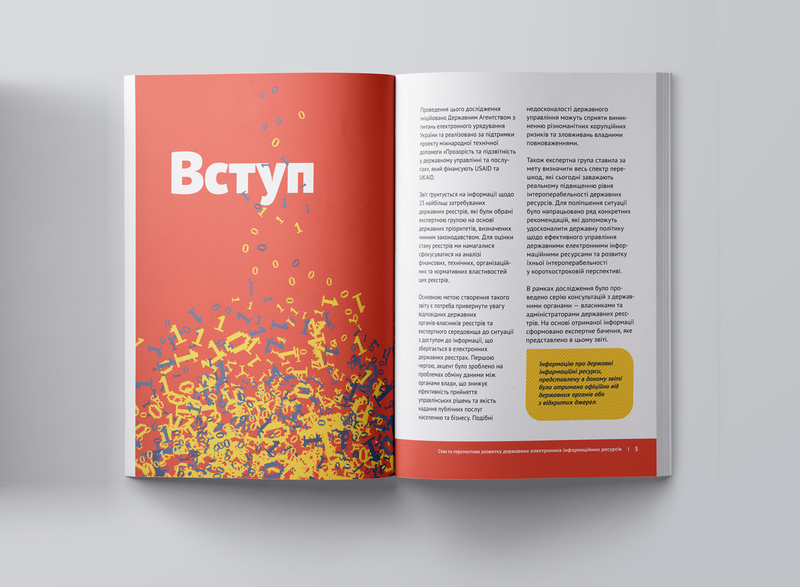 For the stylistic merging of all materials, we decided to exploit all possible associative tools – graphic elements themselves, set of colours, patterns.